Do you want to know who else is in the same club or at the same event as you? 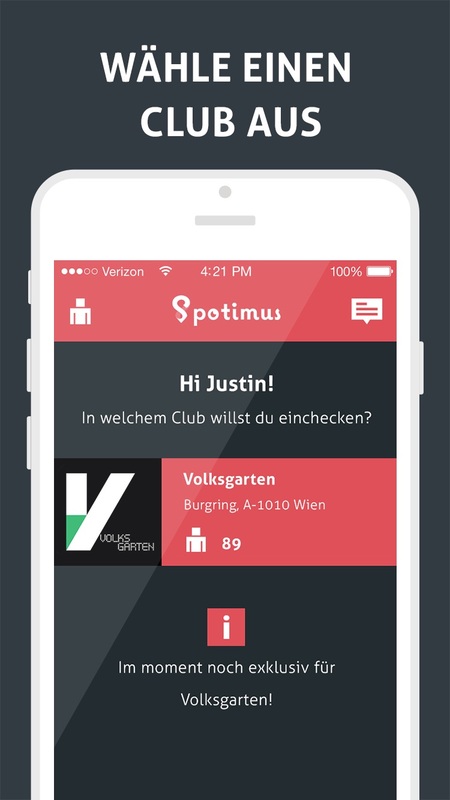 With Spotimus, you can check into locations, events or public places and see who else is currently there—find out where the action is taking place in your city. 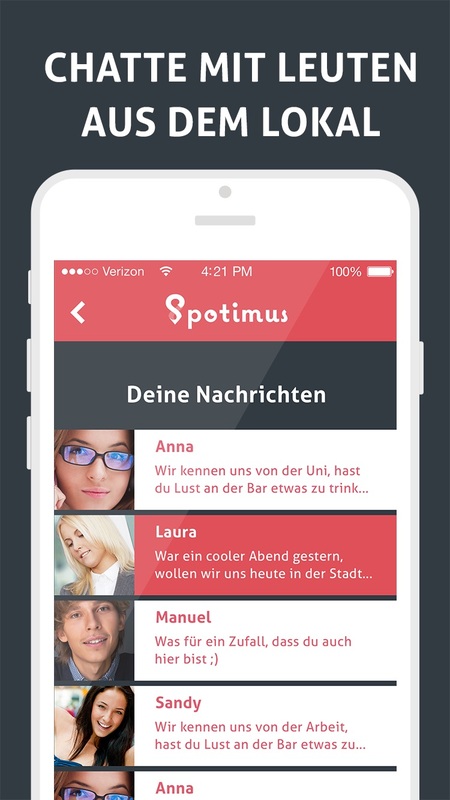 Spotimus is a native iOS App. Users can register accounts via email and password or login with facebook. Locations, checkins and chats are synchronized with a custom backend that furthermore sends push notifications to users. Users can use the app to browse locations and checkins without the necessity of logging in.